Words carry a vibration and the affect the way we feel. Sometimes when we feel negative one way or another we can find ourselves amplifying that negative state through complaining about it. If you need a forklift to get you out of this negativity doing a meditation is always a great thing to do, to change your vibe and to bring you back towards a more neutral state of mind instead of just speaking your mind keeping you trapped in your negativity. A great meditation to help you get out of the negativity loop is the ‘Meditation for Positive Communication’ (what’s in a name ;-). The mudra has a cozy effect neutralizing the impact of the ego and the soundcurrent is uplifting, helping you to enter a more positive flow. By practicing this meditation, one can get out of all negativity and always have the power to communicate positively. Fold your left thumb over the right palm and lock down the left thumb with your right thumb. The other three fingers of both hands are straight and together and pointing down in an angle towards the floor. Take a deep full inhalation through your nose and repeat the mantra five times on your exhalation. This will take about 10 to 12 seconds. Use the entire breaht, fully emptying your lungs as you chant. When you’re done, inhale immediately and repeat. In a smooth and rapid monotone repeat this mantra five times on each breath. Listen to the words as you speak them and be fully present to each sound. Feel the flow of the sound current and the vibration in the back of your throat. Engage the tip of your tongue in an active manner to produce the sounds. Har and Haree both refer to the infinite creative force of the Universe and chanting these sounds helps us to awaken and actualize our potential, creating a feeling of trust that allows us to attract that which nurtures our divine purpose in this lifetime. Start practising for 11 minutes, when you feel comfortable you may extend the time to 31 minutes. Inhale deeply and hold the breath shortly. Exhale and lower your hands on your knees or in your lap and take a few moments to just observe the sensations in your body and mind. 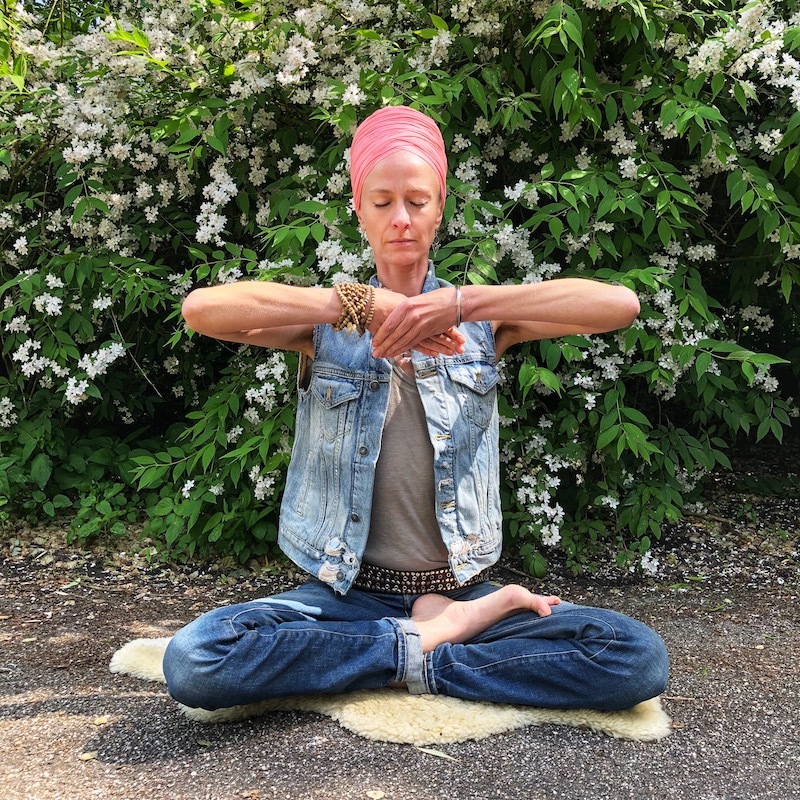 To end your session bring your hands back into Prayer Pose in front of your heart and chant ‘Sat Nam’ three times, with a long Sat and a short Nam. This meditation is to be done on an empty stomach. In the Online Guided Sadhana ‘The Power of the Word’ we are deeply looking into the power of words and become aware of how we create our lives through what we say. Words are like seeds you plant in the present moment that will eventually become your future. Is what you say truly what you want to put out there? 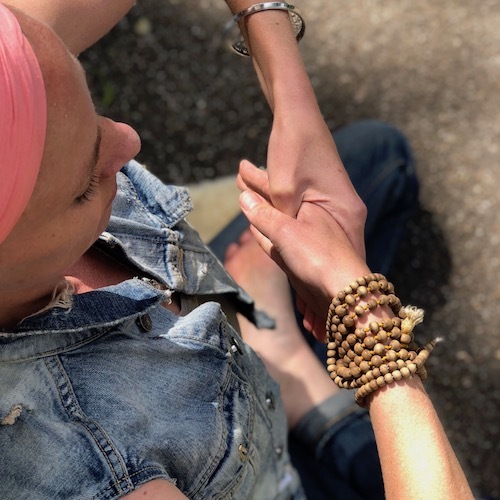 We offer you the chance to discover, reflect, understand and grow your awareness with daily guidance and Kundalini Yoga for 22 days.